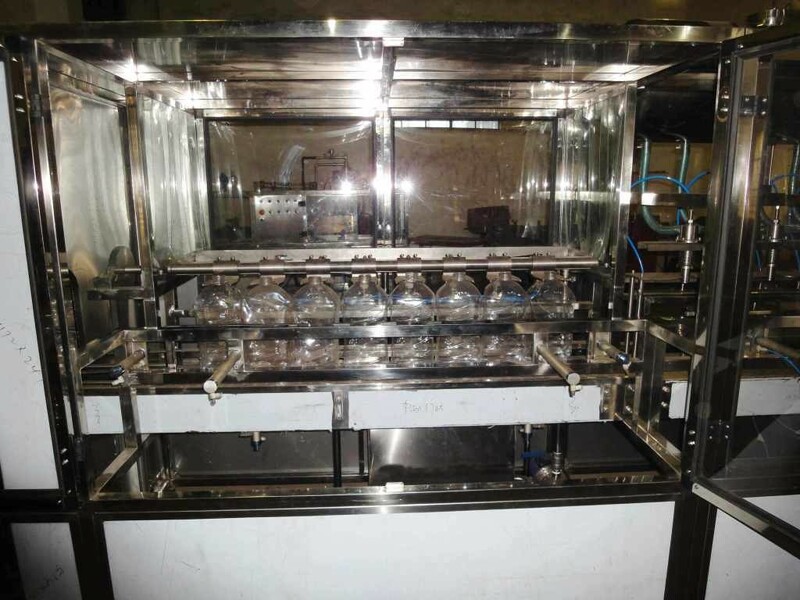 CGF series 3-in-1 filling monoblock, combined with rinsing, filling and capping. 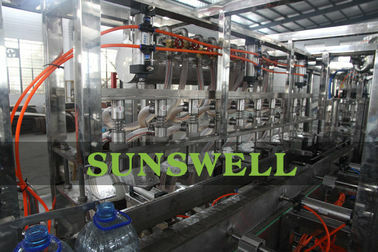 It is innovated and designed in the requirement of still water, pure water, RO water, mineral water, sparkling water, etc. in big jars on the bases of introducing, digesting and absorbing advanced technology from Germany and Italy. Still water, pure water, RO water, mineral water, sparkling water, etc. in 3L, 4L, 5L, 6L, 8L, 10L bottles and jars. It is adopted that direct connection between top-chain conveyor and infeed screw. 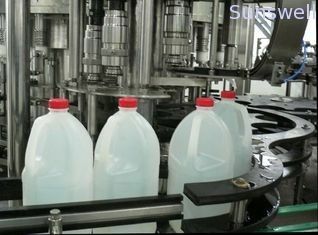 There is no need to adjust the height of equipments through neck holding tech for bottle transportation. And what is only to change some spare parts. 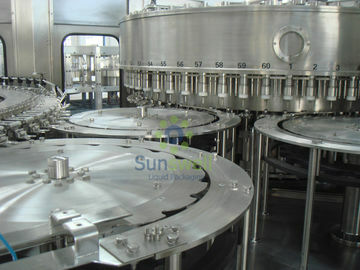 High speed filling line is of clamp transferring technology. Bottle shapes are more varied, and the working table inside the machine is more laconic. Specially designed stainless steel bottle clamp dose not contact the thread parts of the bottle neck, avoiding the second contamination. 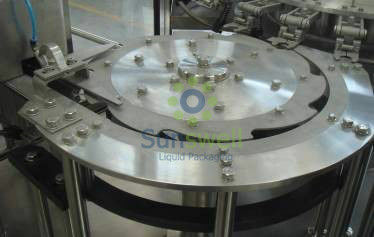 High speed and large flow filling valve assures the high filling speed and exact fluid level. 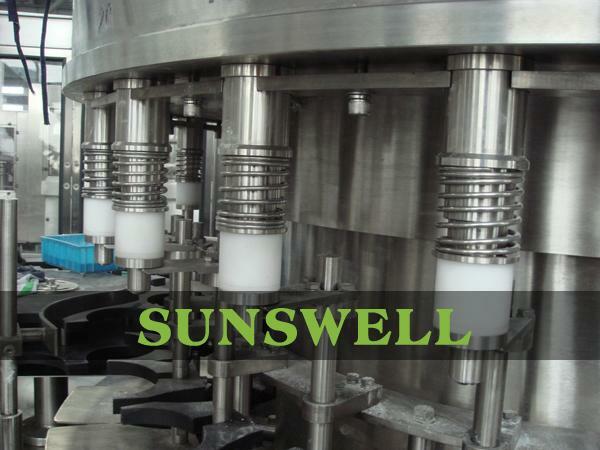 Spares contact with the liquid are all of excellent stainless steel or food level plastic. 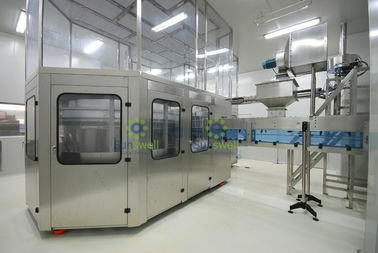 The electric system is of international brand and achieves the national food sanitary standard. The bottle-out starwheel is of screwdown shape. When bottle size is changed, there is no need to adjust the transferring chain’s height.